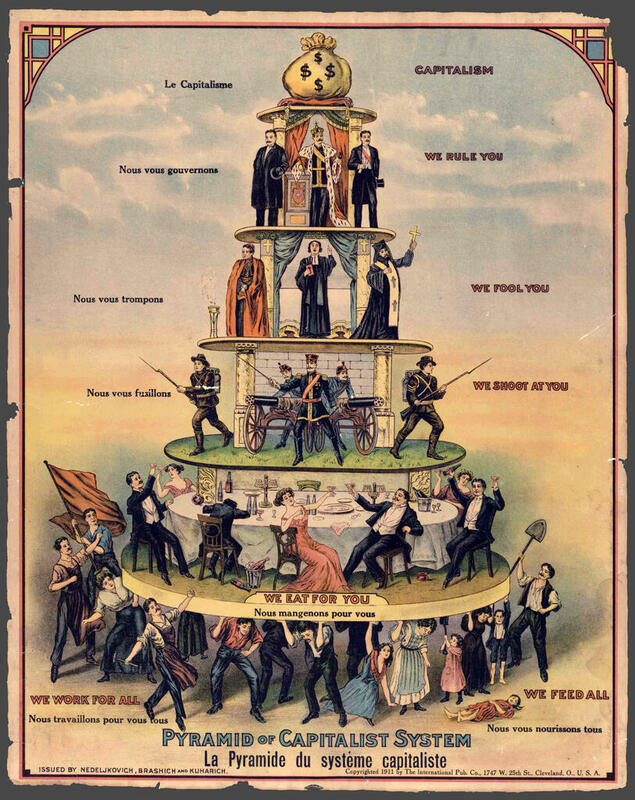 Pyramid of Capitalist System, issued by Nedeljkovich, Brashich, and Kuharich in 1911. Published by The International Pub. Co. , Cleveland OH. FYI : "Pyramid of Capitalist System". Link: https://www.billtoole.net/wordpress/the-good/pyramid-of-capitalist-system/.